Second High Seller on the 2013 Rock Creek Livestock Production Sale. As you can see he has the look. Backed By a Proven Cow Family. 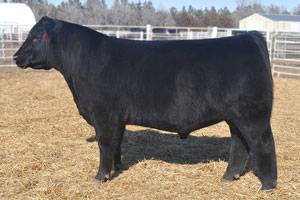 He was purchased to replace, “Lut”, BC Look Out and Northern Improvement has been named one of the most unique angus bulls to sell this spring! 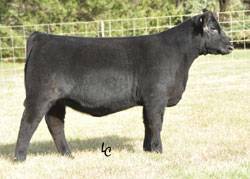 RCL Duchess 1641 Maternal Sister Popular Show heifer sired by Brilliance. Placed 2nd in class at 2012 National Jr. Angus Show in Louisville KY.